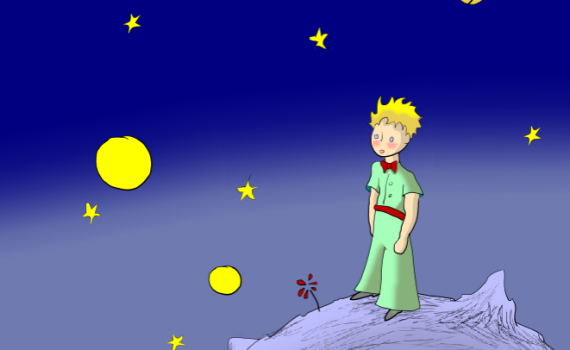 The Little Prince is the 3rd-most translated book in the world, having been written in more than 250 languages. It was also voted the best book of the 20th century in France. And it is 4th on the list of the best-selling books of all-time, right behind A Tale Of Two Cities, The Lord of the Rings, and The Hobbit. Pretty impressive stuff, especially for what amounts to a children’s novella. Of course, there is more behind the story than what meets the eye, as it is a metaphorical recounting of the author’s youthful observations combined with a desert plane crash he fell victim to in 1935. Each character, each moment, each chapter, and every piece of the story is laden with meaning, both personal and universal, allowing readers to immerse themselves in a tale that has so much to say. The narrator of the book begins by telling audiences about the inadequacies of adults, mainly their inability to use their imaginations, their insistence that the world be taken seriously, and their belief that responsible people should be occupied solely with matters of consequence. In his adult years, the narrator would become a pilot, and eventually crash in the Sahara desert. There he would meet a small boy, a prince from another planet, a child of questions who has left his home and is exploring the universe. He has been to many planets, each more peculiar than the last, all inhabited by close-minded adults who don’t understand the true beauty of life. The narrator and the little prince discuss Earth, it’s possibilities, and the young boy’s homeward journey. While the book has a lot to say in a short amount of time, no central moral or theme appears. The author is speaking on youth, on the loss of dreams, of love bolstering the purpose of our lives, and of so many other tiny concepts that each page could be said to be its own world. And although I appreciated the ability to write such tiny messages, I grew very tired of hearing them. There were too many points, too much background, and not enough coherence for me to fully jump on board. A longer book would have needed to have many ideas, but such a short one has need of only a small amount. The book became overwhelming, not magical, with so many metaphors that I never had time to think one through before the next was being presented. In a poem, in a 30 page sketch book, I think I could have loved this very imaginative story. But as a novella, I have no idea why it is so globally loved.